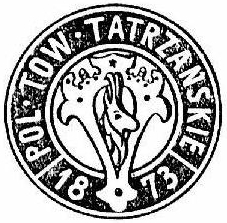 Polskie Towarzystwo Tatrzańskie (Polish Tatra Society) requested the Polish Patent Office to invalidate the right of protection for the the word-figurative trade mark POL.TOW.TATRZAŃSKIE 1873 R-101381 owned by Zarząd Główny Polskiego Towarzystwa Turystyczno-Krajoznawczego (Polish Tourist and Sightseeing Society). PTT argued that in 1994, the PTTK unlawfully applied for the trade mark in question. It was plagiarized traditional organizational badge of the PTT and at the same time a membership badge and a badge of honor of that Society. This organizational badge with the inscription “Pol. Tow. Tatra of 1873” and the image of chamois, was established in 1922. 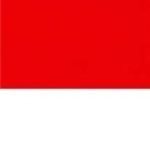 After the II World War, the Society ceased to function, but it has been reactivated in 1981 in times of Polish People’s Republic. The badge was re-established by the decision of the Chairman of the Committee on Youth and Sports of October 1990 issued according to the provisions of the Polish Act of 21 December 1978 on badges and uniforms, as a PTT’s badge. PTTK argued that the decision was challenged before the administrative bodies and courts. The PPO adjourned the proceedings until the Supreme Administrative Court in its final judgment of 2008 dismissed the cassation complaint against the decision of the Minister of Economy that refused to annull the decision of the Chairman of the Committee for Youth and Physical Culture of October 1990. The PPO invalidated the right of protection. PTTK filed a complaint against this decision. The Voivodeship Administrative Court in Warsaw in its judgment of 5 July 2012 case file VI SA/Wa 515/12 annulled the contested decision, and ruled it unenforceable. The Court held that the legal basis for invalidation of the trade mark were the provisions of the Article 8 point 5 of the old Polish Act of 31 January 1985 on Trade Marks – TMA – (in Polish: Ustawa o znakach towarowych), published in Journal of Laws (Dziennik Ustaw) No 5, item 15, with subsequent amendments. Under this regulation, the registration of a sign which contains the name or crest of the Polish voivodeship, city or town, a reproduction of a Polish order, badge of honor and a military badge or sign, is unacceptable. Where justified, such a sign may be registered following approval by the competent authority state or the relevant organizational unit. In the filing date for registration of the invalidated trade mark, the Polish Act of 21 December 1978 on badges and uniforms was in force. Article 2 of that Act established three types of badges: a badge of honor, an organizational badge and an occasional badge. There was no doubt for the Court that the PTT has established an organizational badge. Clearly, it was not a badge of honor, because the PTT has not preserved the procedures required for its establishment. In turn, Article 8 point 5 of the TMA introduces inadmissible registration of a sign containing a badge of honor, not organizational badges. The VAC ruled that the PPO has violated the substantive law while deciding this case. PTT filed a cassation complaint. The Supreme Administrative Court in its judgment of 20 May 2014 case file II GSK 1885/12 dismissed it. Categories: Art. 29 TMA | Art. 30 TMA | Art. 8(1) TMA | Polish Act on Trade marks | Polish courts | Polish institutions | Polish law | Polish Patent Office | Polish Supreme Administrative Court | trade mark invalidation | trademark law | Voivodeship Administrative Court. This is the continuation of a story described in “Trade mark law, case VI SA/Wa 1470/07“. The Supreme Administrative Court in its judgment of 28 October 2008 case file II GSK 400/08 held that the infringement of the right to the company name (the firm) as a condition for the invalidation of the registration of a trade mark, should not be prejudged by the registration of the same or similar trademark, as the name of another company. An important factor determining the infringement of personal or property rights of third parties, is the risk of leading a consumer to confusion as to the identity of the entrepreneur, and it determines the territorial and substantive scope of the actual activities of the entity using a given name, which is the subject of the trade mark, which has been granted the right of protection. This case concerned the invalidation proceedings of MURBET R-155245 trade mark owned by Przedsiębiorstwo Wielobranżowe MURBET Andrzej Zaborski. 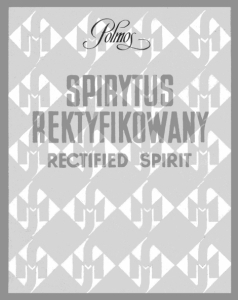 The proceedings were initiated by the MURBET Gabrylewicz Spółka Jawna company from Ełk. Categories: Art. 29 TMA | Art. 8(2) TMA | company name or firm | likelihood of confusion | Polish Act on Trade marks | Polish Supreme Administrative Court | trade mark examination. On 26 June 1996 the Polish company “Sniezka” Chłodnia from Częstochowa applied for the figurative trade mark in Class 30 for goods such as ice creams. The graphic represented a black boy’s head. On 10 September 2001, the Polish Patent Office granted the right of protection R-132332. On 31 July 1998, the Lodmor company from Gdansk applied for word-figurative trade mark “calypso lody smietankowe waniliowe LODMOR” Z-190131 in class 30 for goods such as ice creams, ice cream powder, ice cream binders. The PPO rejected Lodmor’s application justyfing its decision on priority of the “Sniezka” company’s trade mark. Lodmor filed a request for trade mark invalidation. The company from Gdańsk claimed that “Sniezka” illegally appropriated a sign of a black boy’s head, which was put on Calypso ice creams in the ’70s and ’80s by companies that were part of the Union of the Freezing Industry (Lodmor is a legal successor of one of them). The PPO has invalidated “Sniezka” trade mark in 2006. The Office ruled that this sign was registered in contrary to principles of merchant’s honesty because the mark was already used for a long time by other entrepreneurs. “Sniezka” Chłodnia company appealed. The Voivodeship Administrative Court in Warsaw in its judgment of 17 October 2007 case file VI SA/Wa 1005/07 held that Lodmor had no legal interest in filing a request for trade mark invalidation. The Court annulled PPO’s decision. The VAC held that the concept of legal interest in invalidation proceedings can not be derived from the fact that one company applies for a trade mark protection and there is an obstacle in the form of earlier registration. Such conclusion would lead to negation of principles that are the basis for granting rights for trade mark protection. In this case the interest involved only economic issues. Lodmor filed a cassation complaint. The Supreme Administrative Court in its judgment of 23 October 2008, case file II GSK 385/08 agreed with Lodmor’s arguments that VAC only referred to the trade mark application and it did not consider Lodmor’s legal interest. The SAC already issued decisions and opinions as regards the breach of principles of mercantile honesty and the bottom line of each ruling was that, in specific circumstances, a legitimate interest of a competitor may be found, as it was in Lodmor’s case. The Court held that every entrepreneur has the right to designate its products and services, with a trade mark, if it does not remain in conflict as to the form, duration and territorial aspect, with the absolute right that was previously obtained by another entity. An entrepreneur has a legal interest in the request for invalidation of the right of protection for a trade mark on the basis of circumstances provided in the request and conditions included in such a motion if the right of protection was granted in violation of the statutory requirements. The relevance and application of these conditions shall be assessed in proper proceedings. Therfore, the SAC returned the case to VAC for further reconsideration. Categories: Art. 164 IPL | Art. 20 Constitution | Art. 29 TMA | Art. 30 TMA | Art. 315 IPL | case law | legal interest | likelihood of confusion | Polish Act on Industrial Property Law | Polish Act on Trade marks | Polish Constitution | Polish Supreme Administrative Court | similarity of signs | trademark law | Voivodeship Administrative Court. The MIŚ company has operated on the Polish market since 1956 in the form of an “industrial plant”, but until 1978, it used the name “Wojewódzki Zwiazek Gminnych Spóldzielni Samopomoc Chlopska-Zaklad Wyrobów Cukierniczych Miś” in Oborniki Śląskie. 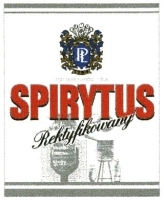 The complex name was changed to “Spóldzielnia Pracy Produkcyjno Handlowa MIŚ” in 1978 and again to “Zaklady Wyrobów Cukierniczych MIŚ” in 1992. Włodzimierz Miś and Jerzy Miś – “Bracia Miś” (Bear’s brothers) have started their activity in 1989. 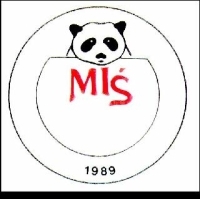 They use a single word “Miś” (bear) as their company name and produce confectionery since 1993. “Bracia Miś” have applied for the word-figurative trade mark “Mis” in 1992. The Polish Patent Office has granted the protection right in 1995 under the no. R-83022. 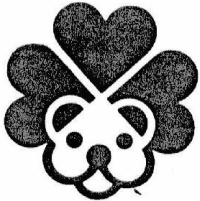 The Company from Oborniki Slaskie received trade mark protection right for the figurative sign consisting of bear’s head in 1996 under the no. R-90583. Zaklady Wyrobów Cukierniczych MIS filed a request for invalidation of the right of protection of “Bracia Miś” trade mark. The PPO agreed and invalidated the contested trade mark in 2001 for the first time. The case went for the appeal to the Voivodeship Administrative Court in Warsaw which annuled the PPO’s decision. The Administrative court pointed that Polish Patent Office did not properly justified its decision and did not consider judgments of two civil courts that previously ruled in case of “Bracia Miś” and Zaklady Wyrobów Cukierniczych MIŚ as regards similarity of both signs and the use of “Bracia Miś” trade mark as a company name (a short explanation: Polish civil courts decide trade mark infringement cases while administrative courts decide appeals and cassation complaints related to administrative procedure and cases before PPO). Once again, the PPO invalidated “Bracia Miś” trade mark in 2007. The Office ruled that the registration should not be allowed because it violated personal rights of Zaklady Wyrobów Cukierniczych MIŚ – the right to a company name – which enjoyed a long tradition and reputation. Again, the case went for an appeal to VAC. Trade mark attorney who was representing “Bracia Miś” presented arguments that their products are only sold in company’s owned shops and there is no risk of consumers confusion. The Voivodeship Administrative Court in Warsaw in its judgment of 22 October 2007 case file VI SA/Wa 921/07 did not follow such arguments so the case went to the Polish Supreme Administrative Court as cassation complaint. The SAC agreed with “Bracia Miś” and held that the PPO did not indicate on which evidences the annullement was based in its decision and that the PPO failed to comply with regulations provided in the Code of Administrative Procedure. The VAC by accepting PPO’s decision has failed to comply with administrative proceedings rules which which in consequence was the reason to invalidate VAC’s judgment. The judgment of the Supreme Administrative Court of 6 October 2008 case file II GSK 406/08 is final and binding. It means that the Voivodeship Court has to annul the Polish Patent Office’s decision from 2007 and order the PPO to reconsider the invalidation of “Bracia Mis” trade mark. See also “Trade mark law, case VI SA/Wa 2258/08“. Categories: Art. 174 PBAC | Art. 183 PBAC | Art. 185 §1 PBAC | Art. 29 TMA | Art. 31 TMA | Art. 315 IPL | Art. 8(2) TMA | company name or firm | personal rights or interests | Polish Act on Industrial Property Law | Polish Act on Proceedings Before Administrative Courts | Polish Act on Trade marks | Polish Supreme Administrative Court | similarity of goods | similarity of services | similarity of signs | trade mark examination | trade mark invalidation | trademark law | Voivodeship Administrative Court. This case concerned the invalidation proceedings of MURBET R-155245 trade mark owned by Przedsiębiorstwo Wielobranżowe MURBET Andrzej Zaborski. The proceedings were initiated by the MURBET Gabrylewicz Spółka Jawna company from Ełk. The Voivodeship Administrative Court in its judgment of 17 October 2007 case file VI SA/Wa 1470/07 held that the registration of a trade mark which infringes personal or property rights of third parties is unacceptable, and in light of case-law, in case of conflict between the company name (the firm), and a trade mark that registered with the “worse priority”, the priority shall be given to the earlier right. However, the exclusive rights to the company name (the firm) is not absolute. Its limits are set by the territorial and substantive coverage, the actual activity of person using the names. Only within these limits there may be a collision between identical or similar company name (the firm) and trademark. The VAC held that because of the distinct areas of the business activity of the person entitled to the company name and the holder of the right of protection to MURBET R-155245 trade mark, there is no risk of leading their consumers to confusion as to the identity of such business or the owner of the later trade mark. The owner of the questioned trade mark does not use the reputation associated with the earlier (identical or similar ) company name (the firm), then it is difficult to find the collision of these two rights, and consequently a breach of an earlier right to the company name by the registration of the later trade mark. The judgment is not final. See also “Trade mark law, case II GSK 400/08“. Categories: Art. 107 §3 APC | Art. 145 PBAC | Art. 246 IPL | Art. 29 TMA | Art. 7 APC | Art. 77 APC | Art. 8(1) TMA | Art. 8(2) TMA | Art. 9(1)(i) TMA | company name or firm | likelihood of confusion | personal rights or interests | Polish Act on Proceedings Before Administrative Courts | Polish Act on Trade marks | Polish Administrative Proceedings Code | trade mark examination | Voivodeship Administrative Court. The Supreme Administrative Court in its judgment of 20 September 2006 case file II GSK 115/06 held that the surname or family name could serve as a trade mark that distinguishes the goods or services of a particular undertaking from goods or services of the same kind that originate from other entrepreneurs. However, in the present case, the owner of the trade mark KOZŁOWSKI R-115647, before he applied for registration of this sign, had the knowledge that for many years before registration of his trade mark, the Kozłowskis family have used their surname to designate products such as brushes and brooms. Pursuant to Article 7(1) of the TMA, as a trade mark may be registered only such a sign, that possess sufficient distinctiveness in normal economic activity. Therefore, the Voivodeship Administrative Court in its judgment of 7 December 2005 case file VI SA/Wa 905/05 properly found that, in the case described above, the purchaser of the goods would have considerable difficulty in identifying the source of origin of goods and reasonably assumed that the trade mark subject of this preceedings does not have a concrete distinctive character. Categories: Art. 184 PBAC | Art. 29 TMA | Art. 7(1) TMA | Art. 8(1) TMA | descriptive character | distinctive character | likelihood of confusion | non-traditional trade marks | personal name | personal rights or interests | Polish Act on Proceedings Before Administrative Courts | Polish Act on Trade marks | Polish Supreme Administrative Court | similarity of goods | similarity of signs | surname | trade mark invalidation | Voivodeship Administrative Court. The Voivodeship Administrative Court in Warsaw in its judgment of 3 MArch 2002 case file II SA 2971/01 held that the allegation of illegality, which is being a prerequisite for inadmissibility of trade mark registration, does not only concern a trade mark itself. This issue has already been explained by legal commentators, who argued that it is not only a conflict with the law or rules of social coexistence of the trade mark itself (its content), but also the unlawful use of the trade mark, i.e., certain actions and intentions of the person who applied for the trade mark registration. See R. Skubisz, Prawo znaków towarowych. Komentarz (in English: Trade mark law. Commentary), Warszawa 1997, pp. 74-75. This understanding of the registration of a trade mark violated the principles of social coexistence. The circumstances of the disputed case have indicated that the party who filed a complaint against the decision of the Polish Patent Office in which the right of protection was invalidated, was acting in bad faith when it applied for the registration. This case concerned the invalidation proceedings of BELET R-109473 trade mark registered for Belet-Polska Spółka z o.o. from Poznań. Categories: Art. 29 TMA | Art. 315 IPL | Art. 6septies Paris Convention | Art. 8(1) TMA | Art. 8(2) TMA | bad faith | company name or firm | Paris Convention | personal rights or interests | Polish Act on Industrial Property Law | Polish Act on Trade marks | Polish Supreme Administrative Court | trade mark invalidation | trademark law. The Voivodeship Administrative Court in Warsaw in its judgment of 3 August 2005, case file VI SA/Wa 1482/04 held that a single colour is not able by its nature to independently distinguish goods of individual entrepreneurs. But, even if a single colour is devoid of any distinctive character according to article 3(1)(b) of the First Directive, it may acquire such a distinctive character in relation to goods by use of such coulour. This factor should be considered when assessing the registerability of a single coulour as a trademark.  This judgment concerned separate Color RED Pantone 485 C applied for by Firma Cukiernicza SOLIDARNOŚĆ – rok założenia 1952 Spółka z o. o. from Lublin for goods in class 30 such as confectionery, chocolate confectionery, sweets. Categories: absolute grounds for refusal | Art. 29 TMA | Art. 315 IPL | Art. 4 TMA | Art. 7(1) TMA | Art. 7(2) TMA | Directive 89/104/EEC | distinctive character | EU law | non-traditional trade marks | Polish Act on Trade marks | single colour | trade mark examination | trade mark refusal | trademark law | Voivodeship Administrative Court. The Voivodeship Administrative Court in Warsaw in its judgment of 28 July 2005 case file VI SA/Wa 1514/04 held that the invalidation of a right of protection for a trade mark serves as a correction of an error that was made by granting such right. The only condition for the invalidation is the failure to comply with statutory requirements that are required for the grant of such right. The right of protection applies to the entire trade mark as it was provided in the application, and subjected to registration. The law does not protect a part of a word trade mark, but covers the whole sign and protect it, in such form, in which the trade mar was applied for and registered. This case concerned DELITKI R-94582 trade mark. Categories: Art. 164 IPL | Art. 29 TMA | Art. 315 IPL | Art. 8(1) TMA | Art. 9(1)(i) TMA | Polish Act on Industrial Property Law | trade mark invalidation | trademark law | Voivodeship Administrative Court. The Supreme Administrative Court in its judgment of 14 December 2001, case file II SA 3446/01 ruled that the English word “heritage” is not a generic term for the services it was registered for, nor does it inform about its properties, quality or usefulness. Therefore “heritage” word can be used as a trade mark. A quick note. The judgments of the Court of Justice of the EC in case C-3/03 P, Matratzen Concord GmbH vs. Office for Harmonisation in the Internal Market (Trade Marks and Designs),  E.C.R. I-3657 and C-421/04, Matratzen Concord AG vs. Hukla Germany SA,  E.C.R. I-2303, have been issued couple of years later. Categories: Art. 29 TMA | Art. 7(1) TMA | Art. 8(1) TMA | Art. 8(2) TMA | company name or firm | Directive 89/104/EEC | distinctive character | EU law | personal rights or interests | Polish Supreme Administrative Court | Regulation 40/94 | trade mark invalidation | trademark law. The Supreme Administrative Court in its judgment of 23 November 2004 case file GSK 864/04 held that according to Article 4(1) and Article 7(1) of the old Polish Trade Mark Act – TMA – (in Polish: Ustawa o znakach towarowych) of 31 January 1985 Journal of Laws (Dziennik Ustaw) No 5, item 15, with subsequent amendments, an undefined trademark, i.e. a trade mark which is not represented in one form, does not possess any sufficient ability to distinguish goods. This judgment concerned a trade mark that was filled according to the Madrid system of international registration of marks. The trade mark IR-667827 owned by FERRERO S.p.A. is represented in the double color composition (the lower part is in white and the top part is in orange). The Court ruled that there was no justification for the argument that the composition or combination of colors, that could serve as a trade mark, has to meet other and additional requirements, such as novelty and originality of form or compositions of colors, i.e. it has to be a manifestation of creativity. However, an undefined sign, that does not exist in one and the same form, is not able to create and capture the consumer associations as to the origin of goods from one and the same entrepreneur. So, such a sign is not sufficiently distinctive. A simple composition of two or more colors, without shape or contour, or the combination of these colors in every possible configuration, does not meet the accuracy and uniformity that is required to perform the function of the trade mark in order to be registered. Such inaccurate representation of the sign which is the combination of colors presented in an abstract (no contours) may lead to many different variations, which in turn, will not allow the consumer to perceive and remember this sign, and thus re-purchase the goods originating from the same company. Categories: absolute grounds for refusal | Art. 29 TMA | Art. 4 TMA | Art. 7(1) TMA | Directive 89/104/EEC | distinctive character | double color | non-traditional trade marks | Polish Act on Trade marks | Polish Supreme Administrative Court | trade mark examination | trademark law.